A little observed ad buy by the H.J. Heinz company three weeks ago has major implications for the advertising industry, as well as corporate barter companies, in that its purchase was done via an online exchange. The buy offers a peek into the future of media buying (one of the major "products" used by corporate barter companies to fulfill their corporate deals) as it used a reverse auction on FreeMarkets.com. The process presently used by advertisers to buy and sell media (some $225 billion this year) is admittedly time-consuming and inefficient. In contrast, electronic marketplaces can cut buying cycles to less than a day, and save 15% or more of the cost of running the transaction... which brings sellers higher profits and buyers lower prices. The consensus among media executives is that time on local radio and TV will be bought electronically by the end of next year, followed shortly by local newspaper and cable. Online exchanges won't work for all media because broadcast networks and the marquee cable channels hate the idea of putting their inventory online, because they're afraid of losing control of their ad rates. But change is coming since the major advertisers are interested in this method of buying, and they're trying to figure out how to make online systems work for them. FreeMarkets reports that other major companies (clients) are interested in setting up reverse markets for their media buys. And Ford Motor Media, a division of advertising agency J. Walter Thompson that buys all of Ford's ads, has been testing its own online media marketplace through Covisint, an exchange being put together by the "Big Three" automakers. Ford Motor Media expects to buy 25% or more of its media online within five years, although they don't expect any of these purchases to be prime time on a broadcast network. Everyone knows that Amazon.com's claim to fame is selling huge volumes of books, and a growing number of other goods to consumers over the Internet. But some of its biggest sales recently have come from promoting other internet companies to Amazon's huge customer base, via the Amazon Commerce Network. And these internet companies often pay in stock for the promotions. The appealing aspect of the Amazon Commerce Network is that it is extremely profitable. Amazon's selling of what is, in effect, advertising space to other internet companies, carries little marginal cost to Amazon. Evidenced by Amazon's first-half of the year reporting of 98% as the ACN's gross profit margin. And in its most recent federal filing, Amazon stated that 64% of the $166 million it received in payments from ACN partners during the first three-quarters of 2000 was in stock. Amazon posted $1.8 billion in total revenue for that period. Another year has quickly passed. During the coming holidays your use of trade dollars will be especially helpful, because using your exchange's services can be a major cash saver at this time of year. Looking to put together a company party this year? Call your trade exchange broker ASAP. Then your next call may be to one of their printers to get your holiday invitations done. Maybe you'll want special banners for the office party. And remember to ask about available entertainment--musicians, a magician, or a disc jockey make every event a little more fun. Your catering needs, as well as balloons, flowers, a photographer, and a limo for the VIPs you invite are usually obtainable. If you are looking to provide personal gifts ask about jewelry, a week-end getaway, a bed & breakfast, or health club membership for next year. Visit the trade exchange showroom for a wide variety of merchandise. Don't forget gift certificates that cover the gamut from restaurants to selected merchandise and entertainment events. What about your own special needs around this hectic time of the year? Set some time aside to get a tan, or make a trip to a beauty salon for a hair style and manicure--yes, men too! Check with your trade broker before you make a single cash purchase this holiday season, as inventories at your trade exchange are continually changing and growing. And, hopefully, these suggestions will help make your holidays a little less stressful...and more enjoyable! Canada's broadcasting regulator is allowing the country's two largest cable companies to barter about four billion Canadian Dollars (US$2.63 billion) in cable assets. Under the prior March agreement, between Rogers Communications and Shaw Communications, Rogers is bartering its cable operations in British Columbia for Shaw's cable assets in southern Ontario and New Brunswick. Reiner Husemann, President of IRTA-Europe, reports the organization's meeting, held in Bratislava the 10th of November, was most successful. IRTA-Europe has expanded again, and now has 18 barter company members, with another two possibilities which were invited guests at this year's event. The IRTA Global Board of Directors will be meeting in Milano, Italy, in late April, coordinated around the next IRTA Europe Conference. www.rubbercommerce.com, the first neutral rubber exchange, allows participants to register bids and offers or seek barter deals in natural rubber, natural rubber products, rubber machinery, and tires. 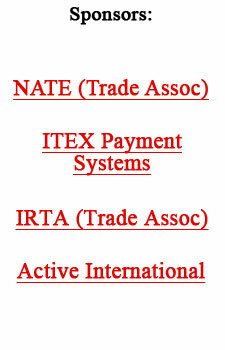 It levies commissions on transactions and has 1,500 members in 65 countries. Lance Lundberg, CEO of iSolve, has positioned the company to rescue or help liquidate internet company assets. In addition to disposing the few remaining hard assets from computers to desks, they will take excess inventory in exchange for advertising time. But maybe iSolve's most important service to the dot.coms is their assistance in folding back-end operations into other dot.coms that have excess capacity. It's a move that not only cuts cost but keeps a business afloat. Rite Aid Corp. has used barter to settle class-action suits related to its accounting practices and financial reporting. The settlement includes a cash payment covered by insurance, with the balance in the form of the company's "currency," i.e. trading shares of stock to the disgruntled shareholders. BarterNet has concluded phase one of its worldwide round of affiliation agreements. The company is now using the remainder of their $26 million in venture capital to build the technology and company infrastructure, which will tie the 27 exchanges and their global clients together through the Internet. "With our foundation firmly in place we are beginning an aggressive execution plan to grow BarterNet," Eric Jeck, CEO, confirmed. "And we will expand to meet the growing demand for trade from businesses of all sizes around the world."